President Muhammadu Buhari has mourned the loss of a leader of inestimable value to “Nigeria’s democracy whose dedication to duty was remarkable and worthy of emulation” following the death of Senator Ali Wakili. In a statement yesterday by Senior Special Assistant to the President on Media and Publicity, Malam Garba Shehu, Buhari said news of the death of Wakili came to him as a great shock. The president said the late senator’s dedication to duty was one of the greatest virtues for which he would be remembered. The statement said, “The passion for duty was one of the finest qualities of late Senator Wakili,” urging other democratically elected leaders to borrow a leaf from the deceased’s record of dedication. “The president, while praying to Allah to bless the soul of the departed senator, also extended his condolences to his family, his colleagues in the National Assembly, as well as the government and people of Bauchi State over this great loss to the country,” the statement added. Wakili, 58, who was senator for Bauchi South, had slumped at his Gwarinpa Estate residence, in Abuja, in the early hours of Saturday. He was rushed to a hospital within the estate, but reportedly died before getting to the hospital. He was buried yesterday in Abuja according to Islamic rites. Wakili was until his death Chairman of the Senate Committee on Poverty Alleviation. Among early callers to his residence were Senate President Bukola Saraki and Speaker of the House of Representatives, Hon. Yakubu Dogara, both of whom expressed shock at the senator’s death. They were accompanied by Leader of the Senate, Senator Ahmad Lawan, Senator Hamman Misau, and wife of the Senate President, Mrs. Toyin Saraki, among others. Saraki, in a statement, said Wakili was a vibrant lawmaker and a public servant who was very passionate about his assignment and engagements in the Senate. 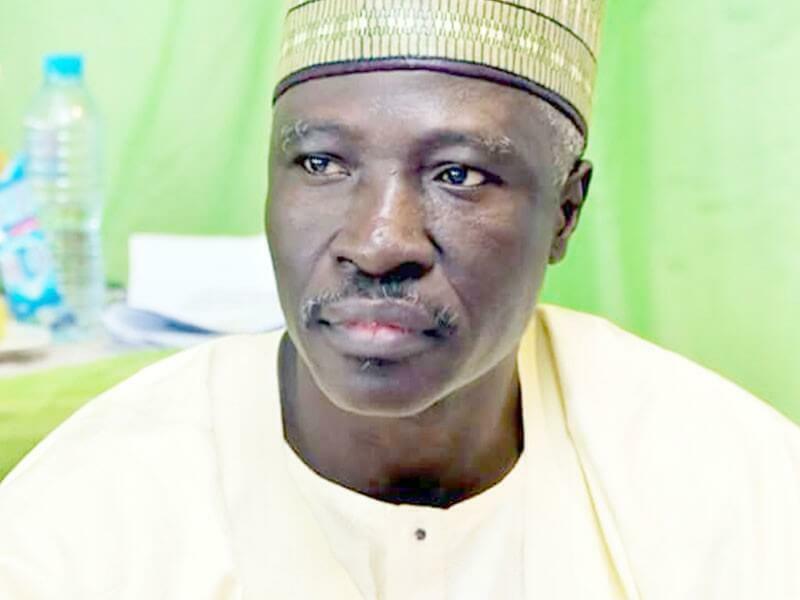 “Mallam Ali Wakili is one lawmaker you can never be in doubt where he stands on a particular issue. He spoke his mind fearlessly. His contributions at plenary were always very incisive and rich. I find it difficult to acknowledge that he will not resume plenary with us next Tuesday,” Saraki stated. The senate president sent his condolences to Wakili’s family, the Senate, and the government and people of Bauchi State. “He shall be sorely missed,” Saraki added. A statement by Dogara’s special adviser on media and publicity, Mr. Hassan Turaki, quoted the speaker as saying, “The death of Sen. Ali Wakili is a personal loss to me. I’m short of words to describe how devastated and heartbroken I am over the passing away of this true friend, brother and confidant, with whom I had excellent brotherly relationship and association. “We have indeed lost a distinguished parliamentarian, easy going and courageous person who had worked tirelessly both in the Senate chamber and outside to defend the interest of his constituents, Bauchi State, and the downtrodden members of the society in the country at large. Dogara, who is also from Bauchi State, stated, “We in Bauchi State and, in particular, Bauchi South Senatorial District, have lost a worthy ambassador and a distinguished gentleman. But we’ll take solace in the fact that his humanitarian services and other accomplishments will continue to be a source of inspiration to us all. Similarly, in a statement, the immediate past President of the Senate, Senator David Mark, expressed shock and sadness over what he said was the untimely death of Wakili. “I am shocked and saddened by the sudden demise of our colleague and friend. It is devastating. Senator Wakili was a peace maker. He always craved for fairness, justice and national unity,” Mark stated. The former senate president lamented that Nigeria had lost a detribalised citizen and a staunch apostle of democracy. “As a respected parliamentarian, Wakili always deployed wisdom and diplomatic strategy to drive home his points needed to provide dividends of democracy to his people. We shall miss his robust and unbiased contributions to parliamentary debate on national issues,” Mark added. Meanwhile, Bauchi State Government has declared three days of mourning for Wakili. A press statement signed by Special Adviser, Media and Strategy, to Governor Mohammed Abdullahi Abubakar of Bauchi State, Ali M. Ali, said, “His passage is a great loss not only to his constituents but the entire nation. His vibrant contributions on the floor of the Senate chamber would be greatly missed. Such interventions have contributed in shaping national discourse. “Governor Abubakar has, therefore, declared three days of mourning during which time flags will fly at half-mast. The governor directed the reduction, by two hours, of closing time for workers during the three days of mourning.